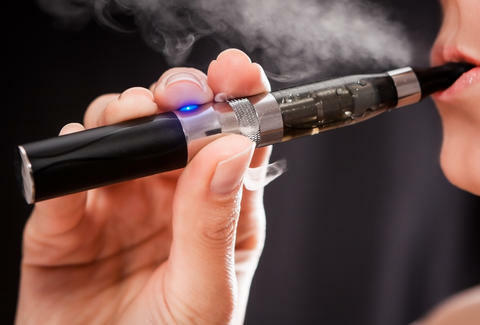 As if e-cigarette smokers weren't already the worst (seriously, look at 'em trying to be all cool -- so sad), one forced a Baltimore-bound Southwest Airlines flight to make an emergency landing yesterday after setting off the smoke alarm in the bathroom. Proving that the flight attendants are not lying -- airplane smoke detectors do, in fact, pick up e-cigarette vapor -- the alarm prompted the pilot to declare an emergency on board flight 3654 from Fort Lauderdale, FL, before landing the plane safely at the exact airport they were heading to anyway, Baltimore Washington International Thurgood Marshall Airport. Makes no sense, right? Apparently, it's still considered an emergency landing regardless of where the plane lands, so long as the pilot declares it. Who knows? But upon touching down, the flight’s 118 passengers and five crew members waited on the tarmac while fire and police officers inspected the aircraft. Obviously, no fire was found and everybody eventually went on their way. It’s not clear yet whether the unnamed offending passenger will be charged or fined for sparking the commotion.